"Intelligence Supernova" in our corner of the Universe – the Technological Singularity! So, what is the Technological Singularity? The phenomenon, also known as the Syntellect Emergence, is already seen on the horizon, when Digital Gaia, the global neural network of billions of hyperconnected humans and ultra-intelligent machines, and trillions of sensors around the planet, "wakes up" as a living, conscious superorganism... And what is Digital Physics? Watch the video below and read the story, here. 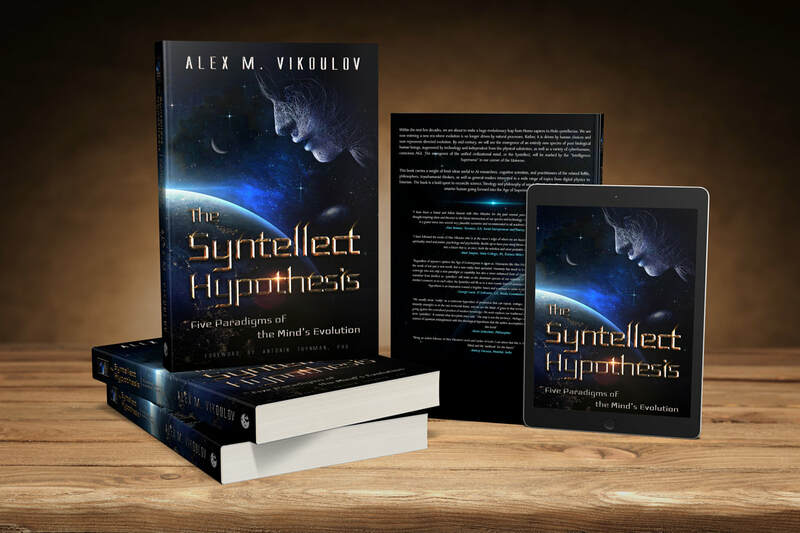 This newly-released book "The Syntellect Hypothesis: Five Paradigms of the Mind's Evolution" by Alex M. Vikoulov can be ordered on Amazon, Barnes & Noble, and from EcstadelicNET webstore. *Password required for Premium Access - to obtain instant password sign up as a contributor, partner, sponsor, or patron, here.